Your Monday Motivator: What Are You Creating This Week? This week’s Monday Motivator is coming to you a day late because of the UK and US’s holiday weekend. If you were lucky enough to have some time off, I hope you thoroughly enjoyed it! So what are you creating this week? Creative writing wise, I’m working on a book and workbook for writers, How Authors Create Money and Meaning. One chapter from that book is called “Sell Yourself Without Selling Your Soul” and I’m also creating an audio presentation based on it, for Indie Author Fringe on Saturday. The Fringe is my big Creative Publishing task this week. With Jay Artale and David Penny, I’ll be planning, then delivering, this tri-annual free online conference for writers. This time out, our indie event is fringe to Book Expo America and will air on June 3rd; 24 sessions, over 24 hours, so it’s live to authors all round the world at some point. But don’t worry, you don’t have to miss out on your sleep; you can catch up on the information at any time. If you’d like to attend, you can register here. On the Creative Living front, it looks like I’m going to be creating a new home shortly, Yes, we’re moving. Well, half moving. 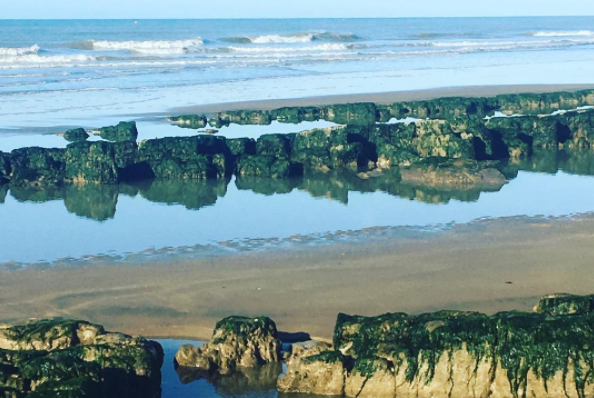 Since January, we’ve been renting a house in St Leonard’s on Sea, on the south coast of England. As the months roll on, The Hub and I like it more and more. We’ve decided to rent for another six months, with a view to buying a house here (though we’ll keep a foothold in London too, for work and other London lovelinesses). I’ll tell you more about that in a blog post later this week. 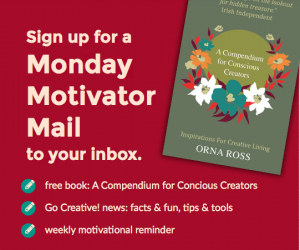 Each Monday I send a reminder email to creatives and creativists around the world. The pull of the outer world is strong, with ever more distractions being put our way, so we all need to be reminded to turn inwards, and reconnect with what we most truly want to do. Which is rarely what the world tells us we should want to do. 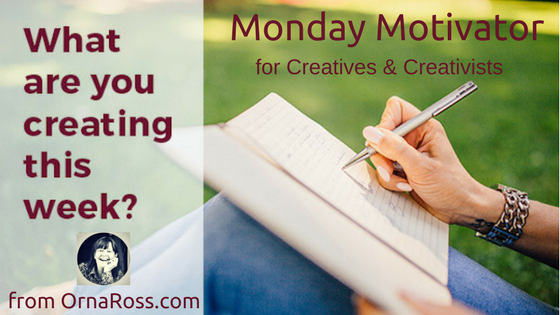 The Monday Motivator reminds you to prioritize what’s most important to you this week and offers tips and tools that help you get into creative flow. If you already receive it, I’d love to know what you’re creating these days and what you need to help you along your way. Drop me a line, using the contact form, with “What I’m Creating” in the subject box. We may feature you in an upcoming Go Creative! Show.